Transportation and communication are central to the development of any society and if one believes that art can act as the ideal ambassador of its culture, then bringing the people to the art and bringing the art to the people is vital. We forget that people, since time immemorial, have traveled. It is a basic instinct of mankind to explore the unknown. Travel was so basic, for those that could afford it, that portable altars became part of the nobleman’s inventory and, later on, when furniture became more than a plank on two saw horses larger pieces were made in kit form so that they could be taken apart and put together easily for travel. Starting during the second half of the 17th century The Grand Tour became a rite of the young wealthy gentlemen of Northern Europe, predominantly the British Aristocracy. It was thought to be an important part of one’s education to have exposure to Classical Antiquity and the Renaissance. In this way the traveler could visit famous sites and see specific works of art in far off lands such as Italy and Greece. As we also know, a number of cultural items would return with the traveler who had acquired a taste for these foreign styles. We have all seen, as well, exhibitions comparing two artists or schools of art from different places and seeing how they borrowed ideas from each other. 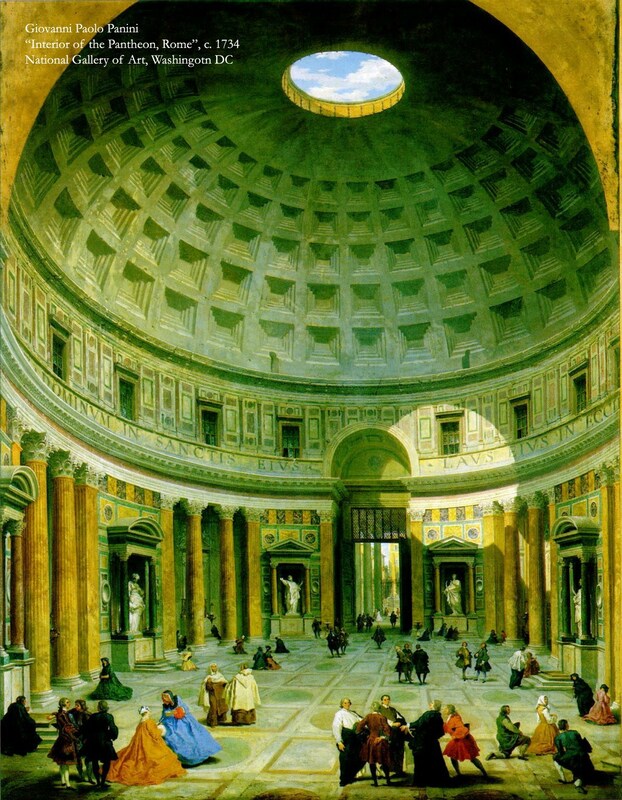 Patrons all over the world have always commissioned foreign artists to come and paint for their court (be they religious, secular or corporate) and do their portraits. What actually prompted this “Missive” is being back in New Mexico and the recent arrival of a light rail system linking the Capital, Santa Fe, with the most populace city in New Mexico, Albuquerque, and beyond along what is known as The Central Corridor. It was an idea that had been discussed for decades but it was only after Governor Bill Richardson was elected that he put it on his priority list and in the end it took 6 or 7 years to complete. They named it the Rail Runner, a play on the fact that the state bird is the Road Runner. 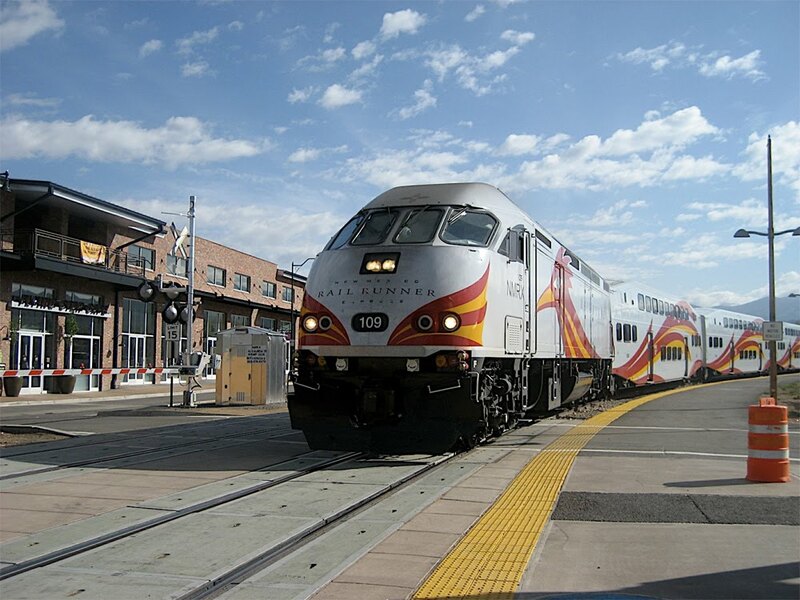 The main reason the Governor pushed for the Rail Runner, however, was not culture but rather lessening the growing automobile traffic on the 60-mile trip between Albuquerque and Santa Fe. A large part of Santa Fe’s work force lives around Albuquerque and they need to commute daily. Originally, there were no plans for the Rail Runner to be operational on weekends or at least none were voiced. But what do you know? New Mexicans and tourists wanted to travel to different communities to visit friends, sites and local museums. As gas prices rose it was an extra incentive to take the Rail Runner. With a yearly pass, assuming one used the Rail Runner every week-day, it would cost an individual only $1.25/day, about the cost of a half gallon of gas! I have mentioned before there are at least 8 museums in Santa Fe alone plus many cultural sites as well as State and commercial exhibitions which are now open to a much larger audience. It was soon realized how important this tourist trade was to Santa Fe, especially when there was the Spanish Colonial Art Fair or an Indian Market or the International Folk Art Market which brings artists from impoverished nations to sell there wares and introduce them to the Culture here and vice versa. This fair alone brings over 20,000 visitors. The Rail Runner finally added Saturdays and Sundays to their regular schedule. The cultural institutions and the businesses realizing that it could be a long trek to a destination in town from the nearest train station started a regular shuttle service to various stops around Santa Fe. Believe it or not this marvelous new means of connecting some of the cities and towns of New Mexico was fought tooth and nail as a waste of tax payer money, but I still have not heard the statistics on the money it has brought to the Capital by tourists and workers coming here. There are always unintended ways that anything new is used. Sometimes good, sometimes not, but one good thing that occurred in this case was for the new Charter High School for the Arts. Its mandate is to accept students from each congressional district in the State. 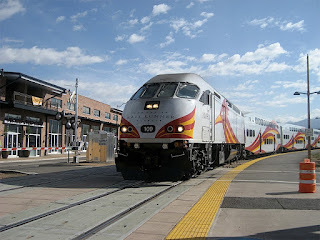 About 15% of the student body neither live nor dorm in Santa Fe and they use the Rail Runner. In return, the school has changed its planned schedule to coincide with the Rail Runner schedule, so school starts later and ends later than other public schools. We need to broaden our horizons by learning about the arts from other cultures as well as our own. The Rail Runner is one way to begin the journey.